House plants… You can whip 9/10’s of the problems which may affect your indoor plants right from the beginning by applying three common-sense rules. Let’s refer to them as your ounce of prevention rules. Buy only from reliable dealers. Select plants that are adapted to growing conditions in your home. When buying plants for your home, selecting plants which will do well in the locations you have available, unless you are buying for a special occasion or using for a short period of time and understand they are expendable. Buying a plant that needs good lighting, setting it in a dark corner and expecting it to do well is a recipe for disaster. If you keep the temperatures high in your home, it would be well to pass on those plants which prefer cooler temperatures and, instead, buy plants which will thrive under warmer conditions or at least tolerate the additional heat. Very few homes can provide ideal humidity for most house plants. To a degree this can be remedied in the home through addition of moisture to the air by evaporation from open containers. Small home humidifiers set close to the plants will also help. The best conditions of humidity in the average home are those found in the kitchen and bathroom. Gas in the atmosphere, even in very minute quantities, is harmful to many plants. If you have difficulty growing plants and use gas for cooking, this may be the main source of your trouble. Where light is restricted by adjacent buildings, trees or curtains, the selection of plants will be limited. The use of fluorescent grow lights with reflectors will often make it possible to grow such plants as African-violets, gloxinias and begonias when it would not otherwise be possible. However, this light cannot be relied on to supply sufficient light for most other plants. Except for shade-loving plants the west or south windows generally provide the most light. Drafty conditions are generally not tolerated by plants, although fresh air is necessary in maintaining healthy plants. Sudden drops in temperature are usually detrimental. Plants should not be set too close to the window, for when the sun is bright, foliage may be burned; when the weather is cold, the leaves closest to the window may be damaged. Watering is one of the most misunderstood or improperly handled chores connected with raising house plants. A great majority of house plants will not grow properly without fairly constant moisture, but being moist does not mean soaking wet. Try to keep the moisture content even; this means more watering on bright days and less when the days are dark. Clay pots will need to be watered more often than plastic or pottery containers, as a great deal of water is lost through the porous clay. Never allow a plant to wilt for lack of water nor make it so wet that the soil is muddy. Proper watering is not mysterious but it does require using common sense. Water at room temperature is best, although with the exception of African-violets and gloxinias, cold water can be used’. 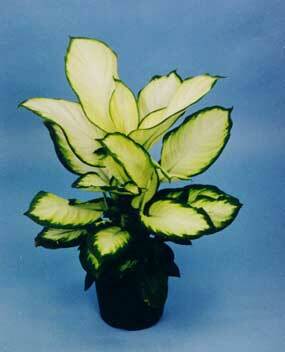 Syringing your plants with warm water will keep the leaves clean, and the plant will always look fresher as a result. Do the syringing on a dry day but keep plants out of the sun until they have dried. Avoid getting the soil wet as much as possible by holding the plant at an angle,under the spray or by making a paper collar about the rim of the pot. Soil composition is important to the well-being of any plant. All of your house plants like good drainage, which means not only drainage material in the bottom of your pot but a soil made porous by the addition of sand, perlite or peatmoss. There is no set formula for the soil mixture of any plant, partly because soils vary greatly throughout the country, and because most plants will tolerate a wide difference in soil composition provided adequate drainage and nutrients have been added. Improper feeding of your house plant can mean either of two things: you underfeed them or overfeed them. Most everyone recognizes the spindly growth, undersized foliage and poorly colored flowers of a plant which is underfed. However, plants often look poorly without the owner being aware of what is wrong when the plant fails to respond after feeding. A cautious peek at the root system of a plant often reveals damaged feeder roots or an absence of them altogether which indicates over-feeding. Never give supplementary feeding to a house plant after potting or repotting until the plant shows signs of new growth. Another good rule to follow in regard to plant feeding is to apply liquid or soluble fertilizer only after the plant has been thoroughly watered. It’s at this point that confusion often exists between nutritional problems and plant diseases. Often the symptoms are similar, so be sure you know what ails your house plant before you apply any remedies. If you doubt your own analysis, consult some grower, amateur or professional. who can give you sound advice.